Arguably, the expectation for UNTOC to deliver in isolation has been too high. It should be re-evaluated as a framework for states parties to apply it appropriately and consider legal interventions not traditionally used to address organized crime. Almost 15 years after it first entered into force on the international level, the discussion about what UNTOC has achieved is picking up. And not a day too soon: after all, by 2005, 111 countries had already taken the legally binding commitment to implement its provisions (out of the current 189 states parties). So, the discussions go, has UNTOC lived up to its promises? Has it delivered added value in the endless fight against organized crime? I feel that by posing these questions we are – to a great extent – losing sight of the problem. We are victims of what I would call the ‘Obama syndrome’, namely that the expectations placed on UNTOC alone to change the world by the magic of its touch were – and are – too high. Perhaps a fairer way to address the issue is to recalibrate these questions, and ask instead, what have countries done with UNTOC? Have they used it to its full potential? And, if not, what went wrong? Let’s be fair. This instrument is not and was never meant to be a panacea, and certainly not in a prescriptive way. Take, for example, two areas that nobody would deny are key enforcement tools against organized crime: the use of special investigative techniques (SITs) (undercover agents, electronic surveillance, controlled deliveries, etc.) and joint investigative teams (JITs). In terms of SITs, UNTOC cautiously recommends that states parties ‘allow for their appropriate use’ to the extent permitted by and in accordance with the conditions prescribed by their domestic laws. As for JITs, the only prescription is that parties ‘shall consider’ the conclusion of further arrangements for the possible establishment of JITs. So, in several ways, UNTOC should be seen as a framework agreement, a box waiting to be filled, a tool that cries out for its states parties to make use of by adopting appropriate national legislation, and negotiating tailor-made agreements in specific sectors. The convention also begs for the goodwill of criminal-justice practitioners in charge of the day-to-day fight against transnational crime. Arguably, one of the few areas in which UNTOC has provided accurate guidance is that of criminalization. Here UNTOC has indeed achieved something very tangible. Not only have most countries introduced in their criminal statutes four offences regarded as pivotal to addressing organized crime in its various manifestations, but UNTOC’s definition of ‘organized criminal group’ has also been widely adopted by scholars and policymakers worldwide as a standard reference in discussions and analyses. I am not proposing that UNTOC should be immune from constructive criticism. However, any assessment should probably resize the expectations we have of UNTOC and place this instrument in a broader context. What is needed is a system-wide approach that takes into account all the pieces of the institutional architecture against organized crime. This leads to another fundamental question: what are the boundaries of the international legal framework on organized crime, of which UNTOC is only one part? I would argue that they are constantly moving, and increasingly faster. As new hybrid forms of criminal groups take root, traditional conceptual barriers fall apart. The clear-cut categories that we have been relying on for decades to distinguish between organized crime and terrorism have disintegrated. This has increasingly become accepted in the scholarly community, for example in Tamara Makarenko’s groundbreaking work on the interplay between transnational organised crime and terrorism and Jean-Francois Gayraud’s recent book on this same issue. It is now the turn of policymakers and practitioners to take stock of this seismic shift and begin to view all available legal frameworks (including the UN’s) in new and creative ways. Sometimes the best instruments to tackle organized crime are those that do not even mention the term ‘organized crime’. Some of them were conceived to be applied exclusively in the counterterrorism field, but are becoming increasingly relevant to address the new grey areas of organized crime. Take the 1999 International Convention for the Suppression of the Financing of Terrorism as an example. Impetus for its negotiation was provided by the deadly attacks perpetrated against the US embassies in Kenya and Tanzania in 1998. This instrument targets those who provide or collect funds with the intention that they should be used or in the knowledge that they are to be used to commit terrorist acts. What those who drafted this convention originally had in mind was the murky network of charitable organizations that used to finance al-Qaeda-linked terrorist acts by diverting donations received from self-styled philanthropists. Twenty years later, the Terrorist Financing Convention, with its cooperation mechanisms, may find new applications in scenarios that its drafters would not have anticipated: as a tool to counter organized crime. The word ‘funds’ is broadly defined within the convention, to include ‘assets of every kind, whether tangible or intangible, moveable or immoveable, however acquired’. Certainly, bank credits, cheques, money orders, shares and a range of other assets are included – as the convention explicitly states. But why should this definition not be extended, more broadly, to address assets used by organised criminal groups? In this sense, the Terrorist Financing Convention has the ability to ‘capture’ the grey areas of transnational organized crime, where the assets may be drugs, smuggled cigarettes, counterfeit goods and even people – particularly in the Sahel and Maghreb regions, where human smugglers, traffickers and terrorists have brought about new, elusive forms of criminality – or ‘dirty entanglements’, to borrow Louise Shelley’s expression. It is now time for practitioners in this arena to leave the comfort zone. Considering UNTOC as the only universal legal framework available to address transnational organized crime fails to appreciate the broader applicability of other legal instruments to what are increasingly hybrid forms of criminality. Podría decirse que las expectativas para que la UNTOC cumpla con lo prometido por sí sola han sido demasiado altas. La Convención debería ser re-evaluada como un marco para que los Estados Parte lo apliquen adecuadamente y consideren intervenciones jurídicas no tradicionales contra la delincuencia organizada. A casi 15 años de que la UNTOC entrara en vigor a nivel internacional, se fortalece el debate sobre los logros de la convención. Un poco tarde: después de todo, hacia 2005, 111 países, de los actuales 189, ya habían asumido el compromiso jurídicamente vinculante de implementar sus disposiciones. Lo que se está discutiendo entonces es: ¿ha estado la UNTOC a la altura de sus promesas? ¿Ha ofrecido un valor agregado en la incesante lucha contra la delincuencia organizada? Siento que planteando estas preguntas estamos, en gran medida, perdiendo de vista el problema. Somos víctimas de lo que yo llamaría el “síndrome Obama”, me refiero concretamente a que las expectativas de que la UNTOC iba a cambiar el mundo por sí sola y como por arte de magia eran – y son – demasiado altas. Tal vez una forma más justa de abordar el problema es recalibrar estas preguntas y en cambio preguntarnos: ¿qué han hecho los países con la UNTOC? ¿La han utilizado a su potencial máximo? Y, si no es así, ¿qué es lo que salió mal? Seamos justos. Nunca se supuso que este instrumento iba a ser la panacea, y definitivamente no de una manera normativa. Tomemos, por ejemplo, dos herramientas que innegablemente son cruciales en aplicación de la ley contra la delincuencia organizada: el uso de técnicas especiales de investigación (agentes encubiertos, vigilancia electrónica, entregas vigiladas, etc.) y órganos mixtos de investigación. En relación con las técnicas especiales de investigación, la UNTOC recomienda con cautela que cada Estado Parte las adoptará “cuando lo considere apropiado” dentro de sus posibilidades y en las condiciones prescritas por su derecho interno. En cuanto a los órganos mixtos de investigación, la única disposición es que los Estados Parte “considerarán” la posibilidad de celebrar acuerdos para establecer órganos mixtos de investigación. Por lo tanto, de varias maneras, la UNTOC debería ser vista como un marco para celebrar acuerdos, como una caja que espera ser llenada, como una herramienta que pide a gritos que sus Estados Parte la utilicen adoptando ordenamientos internos apropiados y negociando acuerdos a la medida de sus necesidades en sectores específicos. La convención también suplica por la buena voluntad de los profesionales en derecho penal a cargo de la lucha cotidiana contra la delincuencia transnacional. Puede decirse que una de las pocas áreas en las que la UNTOC ha ofrecido una orientación precisa es en la de la penalización. Aquí, la UNTOC sí que ha alcanzado algo muy tangible. No sólo la mayoría de los países han adoptado en sus códigos penales cuatro delitos considerados esenciales para abordar la delincuencia organizada en sus diversas manifestaciones, sino que la definición de “grupo delictivo organizado” establecida en la UNTOC ha sido ampliamente adoptada por académicos y formuladores de políticas a nivel mundial como una referencia estándar en debates y análisis. No estoy queriendo proponer que la UNTOC no deba recibir críticas constructivas. No obstante, cualquier evaluación probablemente debería ajustar las expectativas que tenemos sobre la convención y ubicar este instrumento en un contexto más amplio. Lo que se necesita es un enfoque que abarque todo el sistema y que considere todas las piezas de la arquitectura institucional contra la delincuencia organizada. Esto nos lleva a otra pregunta fundamental: ¿cuáles son los límites del marco jurídico internacional sobre delincuencia organizada, del cual la UNTOC es sólo una parte? Me atrevo a decir que están en constante movimiento, y cada vez más rápido. Conforme surgen nuevas formas híbridas de grupos delictivos, se desvanecen las barreras conceptuales tradicionales. Se han desmoronado las categorías bien definidas en las que nos hemos basado durante décadas para diferenciar delincuencia organizada de terrorismo. Esta es una realidad cada vez más aceptada en la comunidad académica, por ejemplo en el trabajo innovador de Tamara Makarenko sobre la interacción entre delincuencia organizada transnacional y terrorismo, y el reciente libro de Jean-Francois Gayraud sobre el mismo tema. Ahora es el turno de los formuladores de políticas y legisladores de tomar nota de este cambio sísmico y comenzar a visualizar todos los marcos jurídicos disponibles (incluyendo los de la ONU) de formas nuevas y creativas. Muchas veces, los mejores instrumentos para hacerle frente a la delincuencia organizada son aquellos que ni siquiera mencionan el término “delincuencia organizada”. Algunos de ellos fueron concebidos para ser aplicados exclusivamente contra el terrorismo, pero cada vez son más relevantes para abordar las nuevas zonas grises de la delincuencia organizada. Tomemos como ejemplo el Convenio Internacional para la Represión de la Financiación del Terrorismo de 1999. El ímpetu para su negociación surgió de los ataques fatales perpetrados contra las embajadas de los EEUU en Kenya y Tanzania en 1998. Este instrumento procura ir contra aquellos que proveen o recaudan fondos con la intención de que sean utilizados, o con el conocimiento de que serán utilizados, para cometer actos de terrorismo. Lo que originalmente tenían en mente los que elaboraron esta convención era la red turbia de organizaciones de caridad que solían financiar actos terroristas vinculados con al-Qaeda desviando las donaciones recibidas de los que se hacían llamar filántropos. Veinte años más tarde, el Convenio contra la Financiación del Terrorismo, con sus mecanismos de cooperación, puede encontrar nuevas aplicaciones en escenarios que sus creadores no podrían haber anticipado: como un instrumento contra la delincuencia organizada. La palabra “fondos” está ampliamente definida dentro del convenio, e incluye “bienes de cualquier tipo, tangibles o intangibles, muebles o inmuebles, con independencia de cómo se hubieran obtenido”. Están incluidos los créditos bancarios, cheques, giros, acciones y una serie de otros activos, tal y como lo explicita el convenio. ¿Por qué no ampliar esta definición para abordar bienes empleados por la delincuencia organizada? En este sentido, el Convenio contra la Financiación del Terrorismo tiene el potencial de abarcar las zonas grises de la delincuencia organizada transnacional, cuando los bienes sean drogas, cigarrillos de contrabando, bienes falsificados, e incluso personas – particularmente en las regiones del Sahel y el Maghreb, en donde los traficantes de personas, tratantes y terroristas han dado lugar nuevas y elusivas formas de criminalidad. Es momento de que los profesionales de este campo dejen su zona de confort. Considerar la UNTOC como el único marco jurídico universal disponible para abordar la delincuencia organizada transnacional impide apreciar la extensa aplicación que pueden tener otros instrumentos jurídicos sobre las formas cada vez más híbridas de delincuencia. Stefano Betti specializes in legal and policy research, training and project management in the area of international crime and criminal justice. Over the past two years, he has provided expert advise to such entities as the Security Council’s Counter Terrorism Executive Directorate, UNODC, UNICRI, WIPO and the International Chamber of Commerce. He also serves as Deputy Director General of the Transnational Alliance to Combat Illicit Trade (TRACIT), a new business-led initiative to mitigate the economic and social damages of illicit trade by strengthening government enforcement mechanisms and integrating supply chain controls across industry sectors. Other ongoing collaborations in the illicit trade sector include projects with the Siracusa Institute for Criminal Justice and Human Rights and Oxford Economics. He is Visiting Lecturer in International and Comparative Law at the University of Toulouse 1 Capitole. Between 2013 and 2016, Stefano was Senior Counsel at INTERPOL’s Office of Legal Affairs, where he headed the Organization’s legal program on illicit trade. Before then, he held positions at UNODC, UNICRI and the European Parliament Secretariat. At the Terrorism Prevention Branch of UNODC, in particular, he delivered training and legislative drafting assistance to several developing countries, especially in Sub-Saharan Africa, on the implementation of the universal legal framework against terrorism. Within UNODC’s Corruption and Economic Crimes Branch, he provided substantive support to the Intergovernmental Review Mechanism of the UN Convention against Corruption (UNCAC) by leading country visits, drafting reports on anti-corruption as well as facilitating technical and diplomatic exchanges between reviewing countries and countries under review. 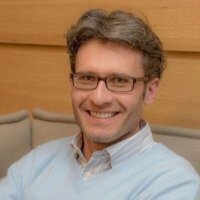 Stefano holds a Master degree in “EU Studies: EU Policy-Making” from the London School of Economics, an honor diploma in International Nuclear Law from the University of Montpellier (France) and a Law Degree from the University of Milan (Italy). New Prospects for International Cooperation in Criminal Matters: the Palermo Convention, International Criminal Law Review, Jan.2003.